A Government Registered Society and non-profit organisation for promotion of Indian Classical Yoga around the world. Initiated and founded by Pundit Radheshyam Mishra in the year 1996, The Ujjain Yoga Life Society – International (UYLS) is a registered society, Non- Profit Organisation registered with Income Tax act 80G and Foreign Currency Regulation Act of Ministry of Home, Government of India and also as non profit organisation in USA as YogaLife USA Inc. under 501(c). This Society is working toward spreading the Authentic Classical Yoga to world with the scientific approach in modern way, to have practical adaptability in today’s generation of a fast and advanced culture. 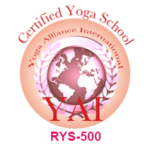 We at UYLS have enduringly believed that a place like us can exist that is totally dedicated to Yogic lifestyle, personal growth and the upliftment of each and every individual through Yogic efforts. A place which emphasises on Yoga as a Way of Life, which can also work as therapy and thus helps to educate people about, living healthily and embodies all that is essential for one to know of its body from inside and maintain good health. The internationally recognized Yoga Guru, Pundit Ji began teaching yoga in early 90’s. 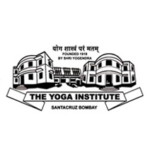 An exemplary pass-out of the world’s oldest yoga organization The Yoga Institute, Santacruz, Mumbai, over the years he has developed a differential method of Classical Yoga with Modern Approach, which he continues to refine each day. Today, his unique method is practiced by thousands around the world, with more than 500 his trained teachers in 30 countries across the globe. In 2010 Ujjain Yogalife Society- Ujjain, India came into its being and became a reality as a well organised Yoga centre in Central India (Madhya Pradesh). In 2012 we opened our first branch in Rockville MD, USA, known as Yogalife USA Inc and continued with two more branch opening in New Jersey and California. Today there are more than thousands of Pundit Ji’s students teaching practicing Yoga all over the world and we have 27 branch/affiliated centers in four states in India, 3 centres in United States and 7 centres in Brazil. UYLS has a universal and deeper vision to spread Classical Yoga and its existence in original form. With continuous efforts towards spreading Yoga awareness, UYLS has brought laurels to itself and country from all over the globe by organising International Yoga Seminar in 2010, 2011, 2012, 2014 and 5th IYS during Kumbh Mela in Ujjain on 26-30 April 2016. In a short span of time, Ujjain Yoga Life Society has conducted and delivered numerous programs and has successfully made its recognition in one the few known Yoga centers all the World. Morarji Desai National Institute of Yoga (The entity of Ministry of Health, Government of India) has awarded our Centre in Ujjain as ‘District Yoga Wellness Centre’. UYLS Promotes Yoga therapy, Yoga education in schools-including rural and tribal areas, Training & research in Yoga and Indian traditions, ancient Indian culture and ancient Yoga, Organising classical Yoga workshops, seminars and symposiums to promote pure and authentic Yoga, Regular Yoga Classes, Teacher Training Courses, Health Camps, Free Health Check up program at Yoga Wellness Centre in Villages, Lectures on aspects of Yoga by Director and other Experts, Lecture on various health diseases/Issues by Senior Medical Practitioners for public awareness, International Yoga Seminar every year, Research work and case study program on impact of Yoga on various Physical & Mental Diseases, Special Research program on HIV/AIDS and Diabetes, Social services in Rural areas, Medical, Education, Public Awareness and many more. We at UYLS believe in brining the world together for the noble cause of spreading Yoga awareness for prefect health, harmony, peace and happiness to prevail all over the world. 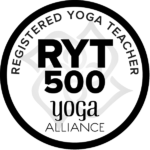 Ujjain Yoga Life Society’s Yoga training and research centre in Ujjain is certified by all certification /accreditation organisations in the world for conducting 200/500 hours Teachers Training programs.